Uropyia meticulodina is not the only moth that looks like a realistic dead tree leaf, in fact there are quite a few of them, but it’s one of just two species that can nail the look of a curled up leaf, the other being the amazing green rainforest moth. 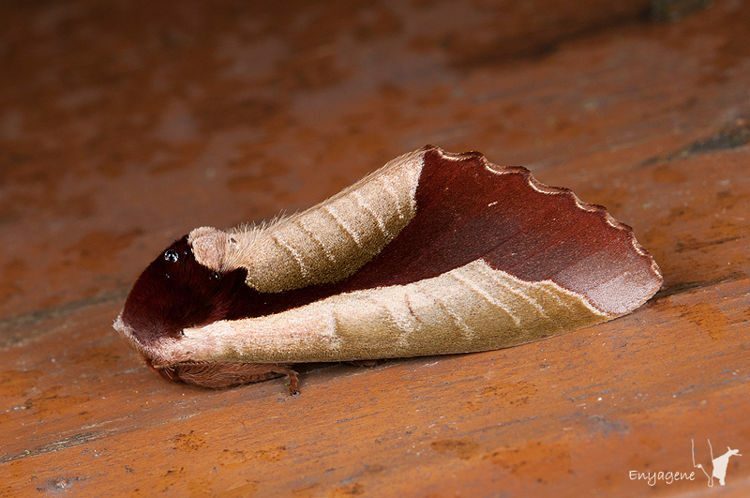 The craziest thing about this fascinating creatures mimicry is that it’s mostly an optical illusion. It’s wings may look curled up, but they are actually as straight as those of any moth. The curled up effect is created by minute scales on its wings which even replicate the shading of a curled up dead leaf. It’s kind of crazy, to be honest. This living optical illusion spends most of its time on the damp floor of forests in China and Taiwan.